You Simply Can't Serve Better Juices and Mixes for drinks. REFRESHING BEVERAGES ~ WILL HAVE YOU COMING BACK FOR MORE! Penguin Juice Company tea concentrates make a great tasting drink, without the hassle and mess of brewing. 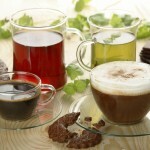 Our teas are refreshing beverages made with the finest quality ingredients on the market. An excellent drink with the convenience of a bag in the box. Our tea comes in many mix ratios. Enjoy refreshing beverages without the carbonation. 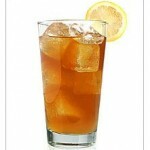 Our sweetened tea can be made with cane sugar with a small minimum order. Isotonic drinks are sports drinks made without caffeine. They are similar to fluids used by infusing in hospitals to prevent dehydration. 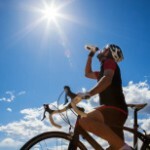 Isotonic drinks are good for sports drinks as they replenish and hydrate without caffeine and sugar products. The content is a mixture of water and glucose with additional vitamins and minerals. Penguin Juice Company products are of the highest quality; better taste is just the beginning. Penguin Juice Company’s nutrient water is Vitamin fortified including, Vitamin A, D3 and B complex. Nutrient water is packed in a 3-gallon bag in the box, and it is a shelf stable product. Complete nutritional information is available upon request. Penguin Juice Company updated their cover photo. Penguin Juice Company shared a link.